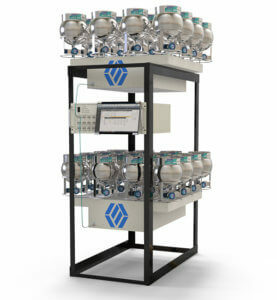 Entech Instruments is a leading developer and manufacturer of analytical instrumentation that supports professionals around the world in Environmental Air Monitoring, Soil & Water Testing, Industrial Hygiene, Food Safety, Flavor & Aroma R&D, Material Emissions Testing, Forensic Investigation, and Clinical Analysis. 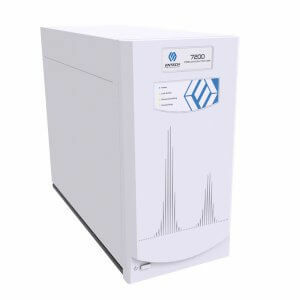 We specialize in the creation of inert air and gas sample collection equipment, chemical extraction and preconcentration technology, as well as GC/MS sample preparation and introduction technologies. Over the years Entech has continued to perfect the science and art of collecting, storing, and analyzing volatile and semi-volatile chemicals by GC and GCMS. At the heart of this development is Entech’s proprietary SiloniteTM surface treatment. 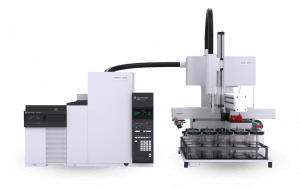 SiloniteTM renders sampling devices and GCMS sample handling systems as inert as a GC column, providing better recovery of a wider range of compounds than ever before. SiloniteTM can be applied to any stainless steel or glass surface, virtually eliminating the adsorption and reactions that can occur on metal and untreated glass surfaces. 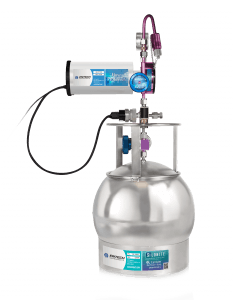 1989 Entech Instruments, Inc. started in 1989 and was the first to introduce multi-canister automation for the analysis of Environmental Air Samples collected in Tedlar® bags and SUMMA Canisters. Introduced the first complete solution for EPA Method TO-14 SUMMA Canister Application (Analysis, Cleaning, Stds). Created the first combined polar/non-polar VOC solution (Microscale Purge & Trap) a few years before EPA TO-15 was introduced. Introduced Entech’s 2nd Generation Preconcentrator (Model 7000) after 4 years of field data from model 2000. Introduced complete SmartLab product line to integrate entire air analysis laboratory onto a single Windows PC. Increased distribution network to include Asia and Europe. After 4 years of feedback from 7000, Entech implements major improvements. Integrated network based on USB communications. Updated 7100 to 7100A SL2. Updated support products to SL2 (4600A Stds prep / 3100 Can Cleaner/ 7016CA-2 Canister Autosampler). 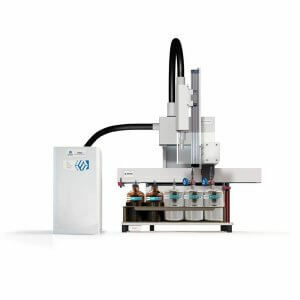 Developed 7500/7500A/7405/7510 Robotics Systems for single inlet, multi-canister analysis. Entech remains the only company to provide robotic canister autosamplers that eliminate line to line variations in system background. 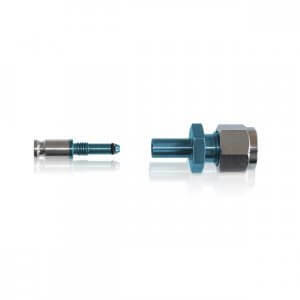 Our inert gas valve offering uncompromising leak-tight performance in an ergonomic design. Introduced the 7150 Preconcentrator with “On Column Extraction“ and multi-stage trapping system. Purchased adjacent building to expand operations and improve canister and field sampling product manufacturing capabilities. After 14 years of feedback from 7100/7100A, the 7200 was completely redesigned using 3D modeling software and was made Win 7 compatible. Next generation Trace Headspace Analysis for Aroma, Off Flavors, Water Analysis and more. Accelerated research into better solutions for current and new markets. 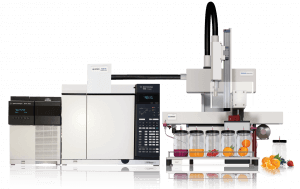 The 7650 brings the automated analysis of MiniCansTM, Bottle-VacsTM, and even large volume sampling canisters to a whole new level. The easiest and most accurate way to calibrate your Entech CS1200E field samplers. The most versatile extraction and sample preconcentration technology available for GC and GCMS systems. Remote Sampling Made Easy w/ WIN10 Touch Screen PC, WIFI and 6 hour battery backup.